Drawing on 50 years’ worth of expertise in the design and engineering of aluminium windows and doors, the Reynaers at Home product range will transform the ordinary in your home and make it spectacular. Our durable, 100% recyclable aluminium windows and doors are versatile enough to be fitted in either traditional or contemporary homes. Our made to measure, state of the art aluminium products will work in even the most complex architectural concepts. Browsing through our range, you will discover that our aluminium products are tried and tested with accreditation’s in thermal insulation, security and weather resistance, all without compromising on style. Reynaers at Home is also leading the industry in fitting maximum sizes of panes of glass, making any design possible. If you’re an Architect looking for CAD and BIM details for our aluminium systems, please visit our commercial website to download the models and drawings. Whether we are supplying bespoke double glazed aluminium windows and doors, bifold doors or external sliding doors of the highest quality, our glazing can enhance even the very finest of homes. There are many options of elegantly designed frames for you to choose from that will be the perfect addition to your home. As well as all of our products coming in hundreds of colours, our aluminium windows and doors are incredibly adaptable to your needs with many different styles to suit any aesthetic. Perhaps you could fit bifold patio doors with multiple door leaves to seamlessly link your home to the garden from our Concept Folding system range. What about fitting slim frame aluminium windows integrated into your roof to flood your home with light from our SlimLine system range? Consider modern Hi-Finity patio doors that combine stunning aesthetics with outstanding performance, offering floor-to-ceiling and wall- to-wall glass. If thermal efficiency is your highest priority, we are proud to have engineered the CS 104 window and door system with industry-leading thermal insulation that meets the requirements for Passive House standards. 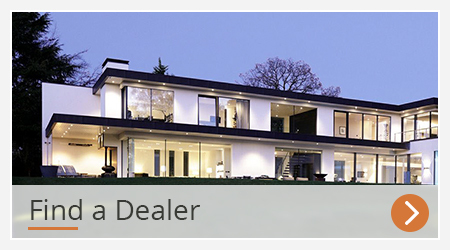 Reynaers at Home can provide the ideal solution for your window and door system requirements, whether you want to build your house from the ground up, or renovate your property into your perfect home. 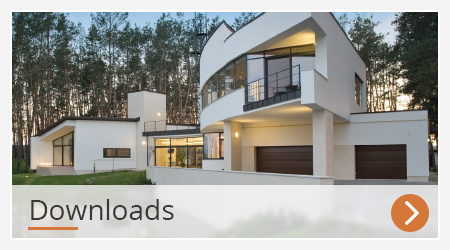 If you are in need of detailed technical information, please visit our Product Downloads section.